Wedding Catering Services for Receptions, Groom's Dinners and More! 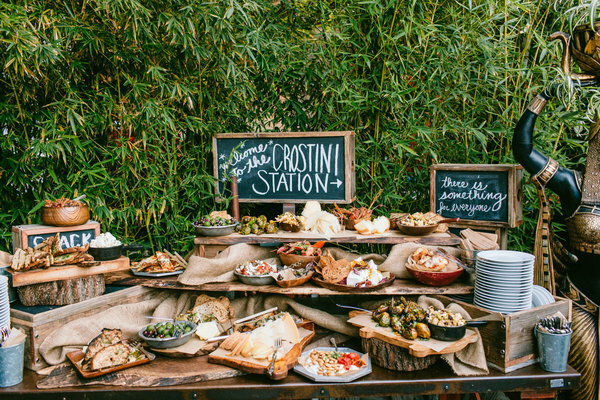 Wedding Buffet Bars You Didn't Know You Needed! As the bride and groom, you’re tasked with endless decisions about your big day. 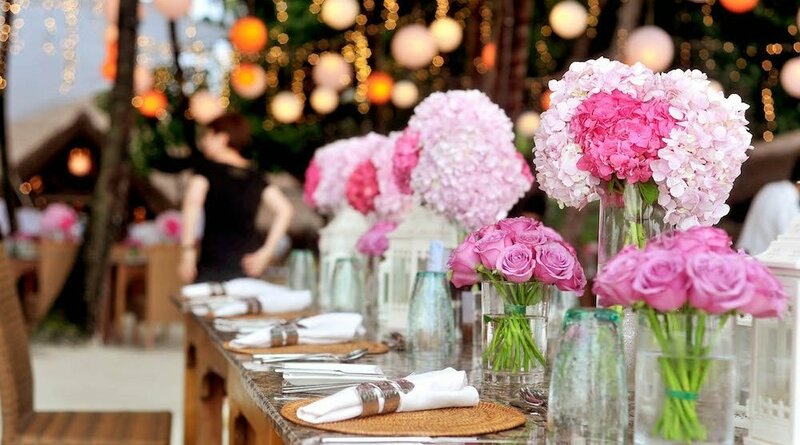 Every detail large or small is yours to make – and wedding planning can be daunting. Though your bridal party, families, and guests might not remember every single detail like you undoubtedly will, they will never forget what you fed them. Wedding catering shouldn’t be a decision you make lightly. Cutting Edge Catering is a preferred wedding catering company in Central Minnesota offering St. Cloud catering and event planning. We help create a warm, cozy environment for your first meal as newlyweds no matter the size of your guest list or venue where you celebrate. Nothing unites people more than sharing a meal together. We’re honored to facilitate that memory making one forkful at a time. Cutting Edge Catering offers wedding day menus that range from traditional comfort food to themed menus with a flair for imagination! Trust your most important day to our team who excels at professionalism, impeccable service, and always brings a delightful experience to the table. There’s more to wedding catering pricing than a quote on a piece of paper. Ensure your biggest day is complete with the food, service, and dedication only a premier, trusted St. Cloud caterer like Cutting Edge Catering by Nelson Bros. offers couples like you. When you consider what wedding caterers cost, picture how we can help turn your celebratory events in extraordinary, priceless memories. Bring your ideas to our wedding catering team to collaborate on the best menu for your wedding day. We specialize in one-of-a-kind themed buffets, plated dinners, pasta bars, and hors d’oeuvres sure to please each and every guest. Kickoff your celebration by partnering with Cutting Edge Catering for your rehearsal or Groom’s Dinner. Make it casual with a grill out or pizza buffet or set the tone for elegance with a traditional spread of hot, delicious menu items like pork prime rib or custom pasta dishes. Reward your guests for their hard work dancing, celebrating, and toasting the night away with an end-of-night spread of light party foods. Choose the fan favorite pizza buffet or feature grab-and-go sandwiches, appetizers, or sweets to carry your revelers through to the very last dance. Keep the party going with a gift opening brunch or send-off breakfast for your wedding party, family, and guests. Cutting Edge Catering by Nelson Bros. offers the perfect ratio of sweet and savory brunch items … Fritter Bread French Toast, anyone? Now that’s a St. Cloud catering delight! Ladies who lunch (or brunch or snack!) deserve to have the delightful array of party foods the bridal shower theme calls for. 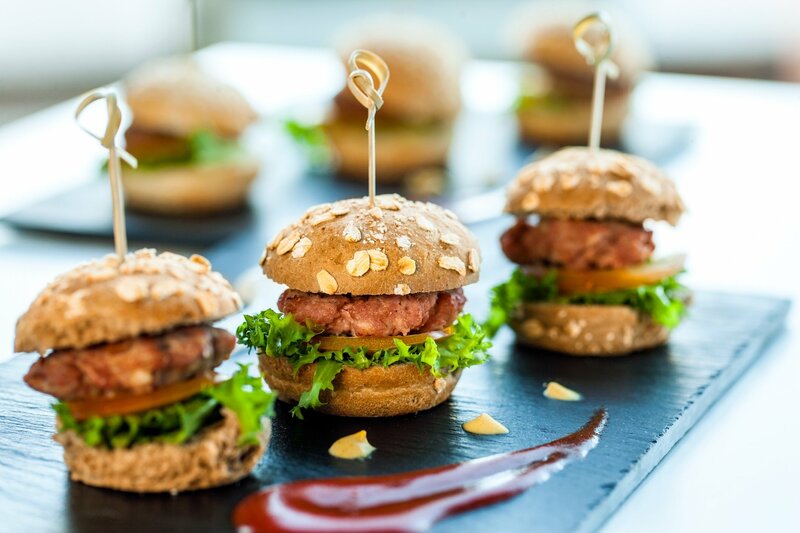 We’ll help feed your guests a light selection of finger foods and appetizers or a build-your-own sandwich bar to complement the lighthearted mood.